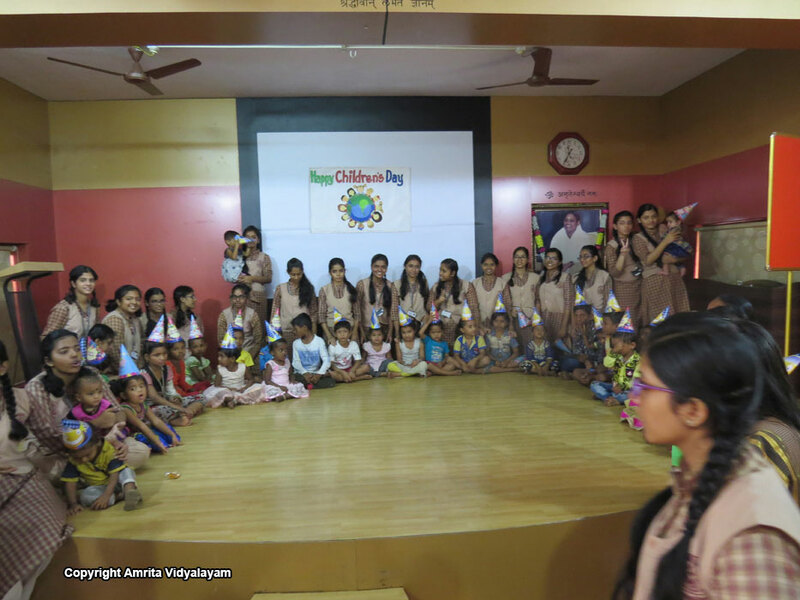 Value Education- the core mission of Amrita Vidyalayam Schools was practiced in right earnest on the occasion of Children’s Day when the thoughtful students from Senior Secondary lovingly invited around 28 families from the nearby slums to the school. Principal Brni. 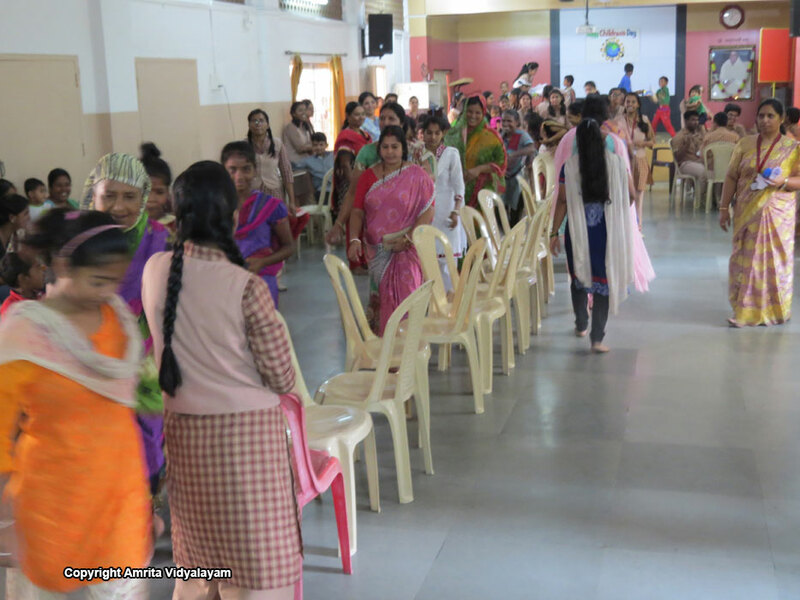 Rekha welcomed the 85 members from the families, out of which 32 were children. 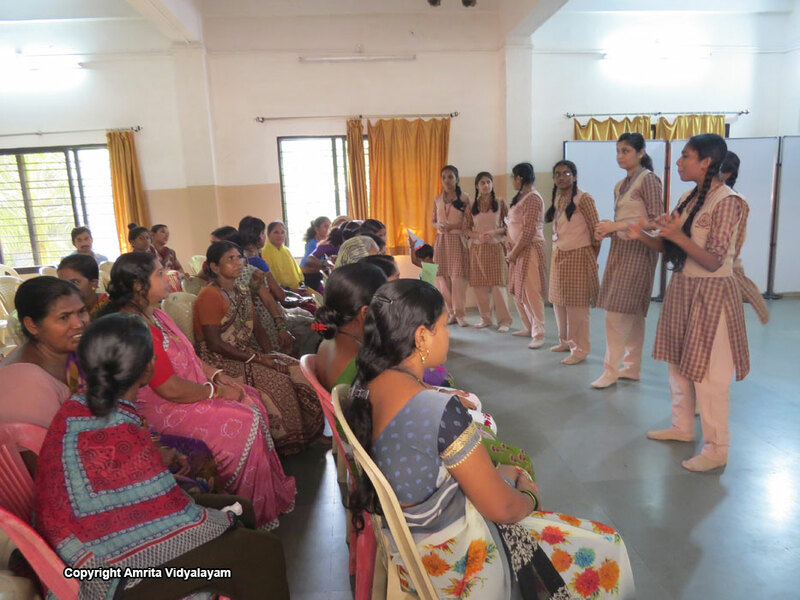 The students prepared the entire programme on their own with valuable input from Brni. Rekha and teachers. The Sr. 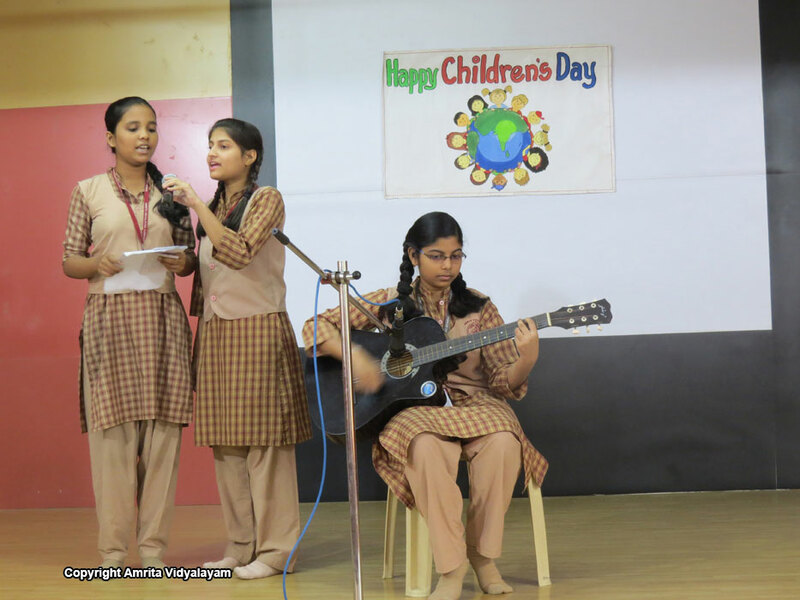 Secondary students had put together a string of entertainment activities for the sake of the families, which included a song on realizing one’s dreams and aspirations and a hard hitting performance on “Swachh Parisar – hum sab ki zimmedari”. 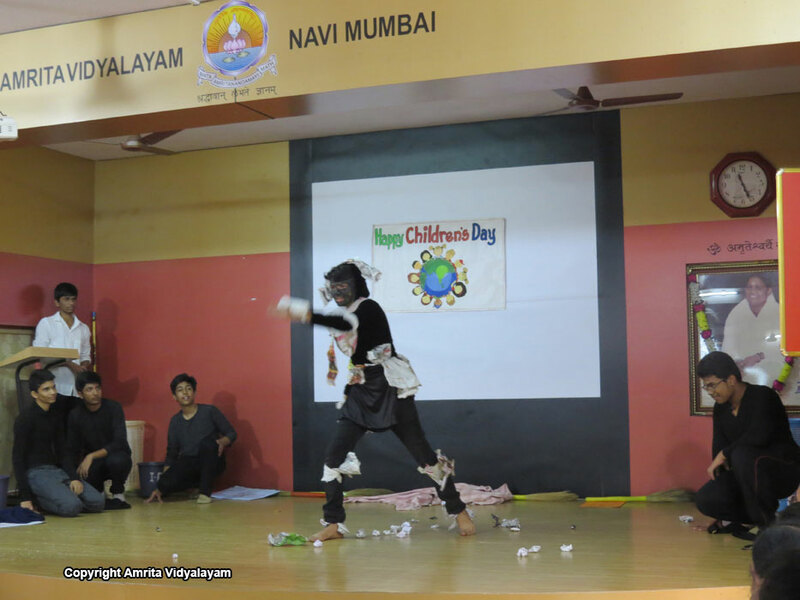 Through their one-to-one interaction with the families, students stressed the importance of health and hygiene, eliminating open defecation, and outlined simple ways to keep the immediate surroundings clean which would ultimately lead to “Clean India”. 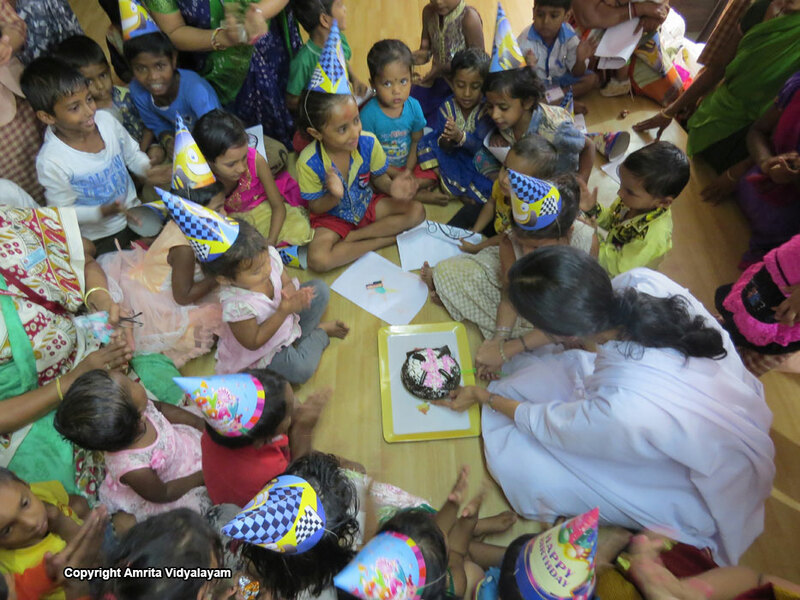 Chacha Nehru’s birthday was celebrated by cutting a cake which was relished by the little children. 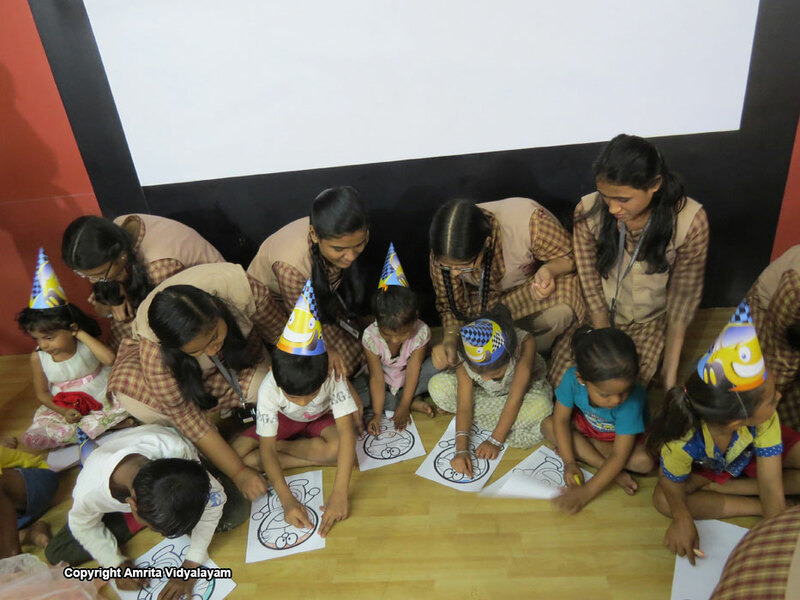 The students engaged the little ones in drawing while the adults played a game of musical chairs. The families were provided a nutritious meal at the school served by the students in the school auditorium. A gift hamper containing rice, pulses, oil, sugar, soya chunks and clothes were given to each family. Small children were gifted drawing books, crayons and chocolates. 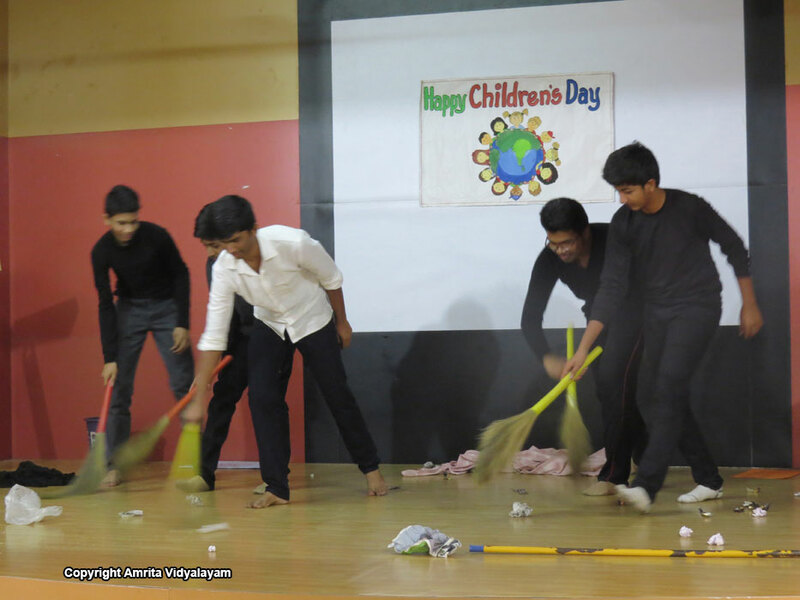 This initiative by the Principal was aimed at sensitizing the children towards community service. The families left the school with smiles on their faces and blessings to the students who actively participated in the Joy of Giving on this special day. Brni. 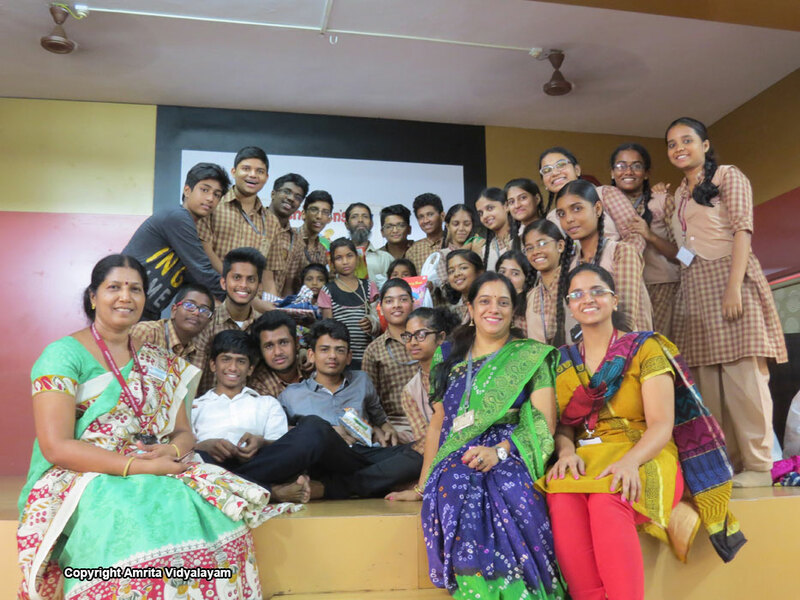 Rekha took this opportunity to interact with the students and discussed anxiety issues faced by them and guided them towards positive thinking. She also stressed upon the core values that each person should follow in life.